In all likelihood, students will have several occupations during their working lifetime. There is no one ‘ideal’ occupation. Our Workplace Learning and Careers Coordinator is available to meet with students and parents to discuss career options and study pathways. 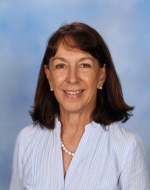 She is able to assist students in developing job search techniques, interview skills, resumes and selection criteria for scholarships and coordinate workplacement opportunities for students. The Workplace Learning and Careers program at Emmaus supports students in and out of the classroom in working towards their desired careers. All Year 12 students have an interview with the Workplace Learning and Careers Coordinator to discuss their options after school, whether that be through university, TAFE, apprenticeships and traineeships or direct employment. 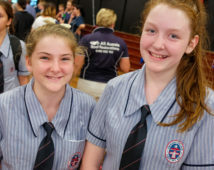 Year 10 students commence career planning in Term Two. A Personal Learning Plan (PLP) is developed to encourage students to think about their future, consider their abilities and investigate their options for careers and further education. 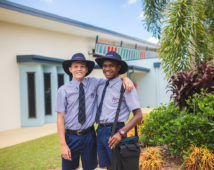 Through this process Year 10 students are able to make informed decisions about completing the Senior phase of learning and about their future. It helps them to make informed career and learning choices and to lay the foundations for lifelong learning and lifelong career development. Year 11 and 12 students also participate regularly in the Rockhampton Innovative Networking Group’s (RING) Communication to Careers events. These events are held at Emmaus and other local high schools and consist of a rotating interview exercise where students are placed in a series of short interview scenarios with a range of employers. Students are also able to ask questions about career suitability, desired employee attributes and learn more about the businesses participating. This is an important tool for increasing career readiness for students post-school and also helps the College to engage with industry partners to continue developing relevant and modern work experience opportunities for students. As part of this program, students have the opportunity to participate in work experience during the year. Since 2014 Emmaus has been able to offer more diverse and innovative work experience opportunities for students. 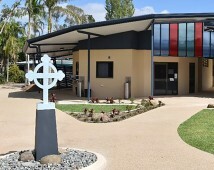 Initiatives such as the Engineering Aspirations Program and the Health Aspirations Program have allowed the College to partner with key industry organisations to offer a unique work experience opportunity where students participate as a group in intensive programs to gain experience and are able to work alongside industry mentors on real-world projects. 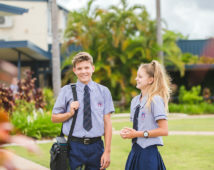 They aim to meet the long-term workforce needs in the region by introducing students to a broad range of opportunities within their industry of interest. To date, these programs have targeted students looking at careers in the engineering and health industries. Some of the students in the Workplace Learning Program undertake CQTAFE courses or are school-based apprentices or trainees. School-based apprenticeships and traineeships are available in a number of different industry areas, for example: automotive, child care, engineering, sport and recreation, retail and office administration just to name a few. Sometimes employers will advertise the availability of SAT’s with the school. Most times, however, it is the enthusiasm of a student employee who promotes the possibility of a SAT to an employer. – Through interaction with people outside the school.